Experience the Power with Delo® Sports diesel engine oil, A Caltex lubricants with ISOSYN Technology. 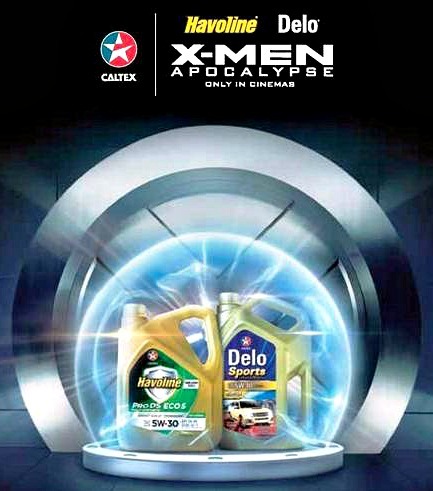 This is one of the good news from Caltex for all SUVs and pick-up trucks owner because Delo® Sports diesel engine oil provides enhanced engine protection and power even under the most challenging of driving condition. 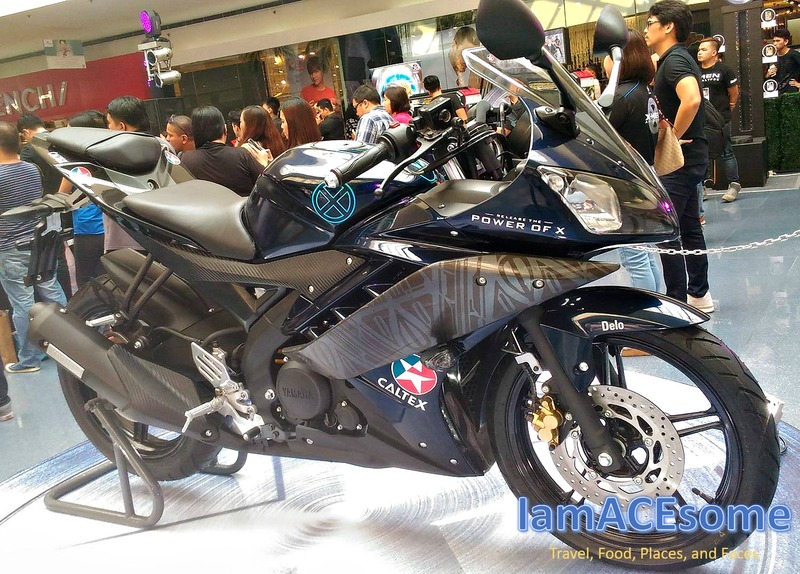 And this is the answer to the increasing popularity of diesel-powered sports utility vehicles in the Philippines and the continued changes in Original Equipment Manufacturers (OEMs) engine design. Delo® Sports with its renowned ISOSYN® technology, the combination of premium base oil and high-performance additives that provides superb protection. Delo® Sports has high oxidation stability, excellent dispersancy and anti-wear characteristics thus extending engine life. It also provides excellent deposit control which is a must for turbocharged diesel engines that encounters very high temperatures during on or off-road driving conditions. There are two types of Delo® Sports Diesel Engine Oil; Delo® Sports Fully Synthetic SAE 5W-40 which is designed to provide ultimate protection for diesel powered sport utility and sport activity recreational vehicles that require heavy-duty type engine oils with the highest performance rating of API CJ-4 and Delo® Sports Synthetic Blend SAE 10W-30, designed for the latest models of sports utility vehicles fitted with common rail fuel injection systems where API CI-4 performance is required. Another good news from Caltex is for X-Men fans to experience the Power of X with Caltex, Caltex customers will be happy for this good news. 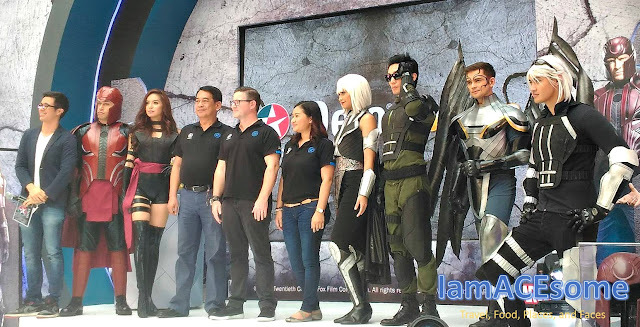 Through the partnership with 20th Century Fox for the latest installment of the most-anticipated blockbuster movie X-Men: Apocalypse, gave X-Men fans the chance to experience the Power of X at the SM Mall of Asia Atrium. The place was transformed into X-Men School for the Gifted Youngsters at SM Mall of Asia Atrium, the event served as the launch pad for Delo® Sports with ISOSYN® Technology where mall-goers can enjoy a lot of activities like Race to The Power of X arcade challenge, Release the Power of X hammer game, and the Match the Power of X challenge plus selfies with your favorite X-Men characters taken at the booth and a chance to win exclusive X-Men gift bags. 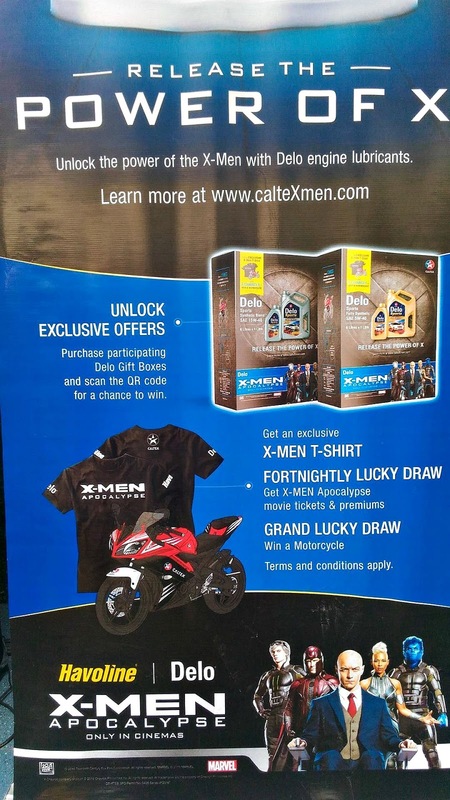 What else for X-Men fans and Caltex Customers?